LTspice is one of the best free SPICE simulation software available around, used by students to professionals. But it's quite unfortunate that LTspice Linux version is not available, it's built to run on Windows and macOS only. But you can run the Windows version on Linux through Wine. 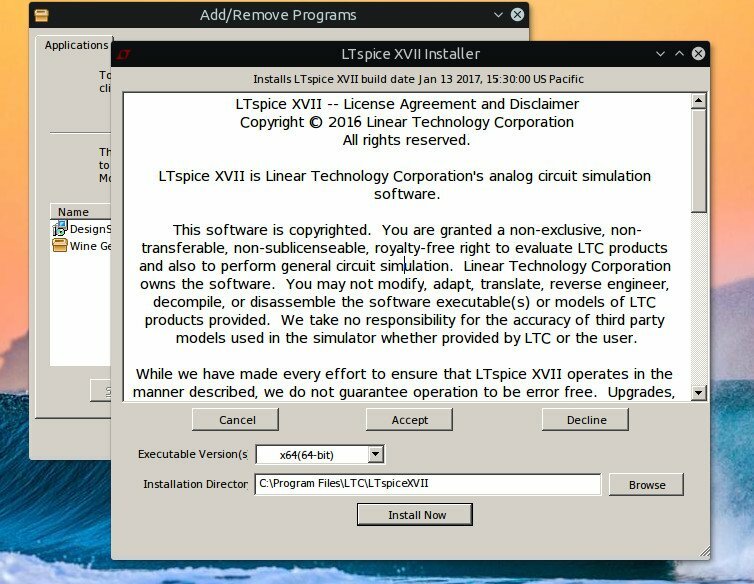 I've got some trouble while trying to install the latest LTspice XVII through Wine, mostly due to missing 32 bit libraries. So, here's this little quick tip, how to install LTspice on Linux. Most probably you know how to install Wine in your Linux distro, but I'm going to repeat the same thing again ! To install Wine using apt in Debian or other Debian based distros like Ubuntu, Linux Mint, use the following instructions. If you're on a 64 bit installation, then you've to enable i386 repository, it may be necessary to run some parts of Wine properly. First open up a terminal emulator, then run the commands one by one, listed below. Don't forget to check the proper wine-mono and wine-gecko version. Now you've to download the LTspice version XVII, get it from here. Usually double clicking the exe file will start the Wine program installer interface. Installation process is quite straight forward, nothing special. The installer should create a application entry in under the wine applications. You should try running LTspice from that menu entry first. If not, then you could try to run the executable directly with the wine command, example below. Assuming you've configured wine as usual. So, that's all you need to do to install LTspice in Linux, specifically in Ubuntu or Debian based linux distributions. If you have any suggestion or question about LTspice linux, please leave your comments below. Happy simulation ! Thanks! This is perfect, and easy. 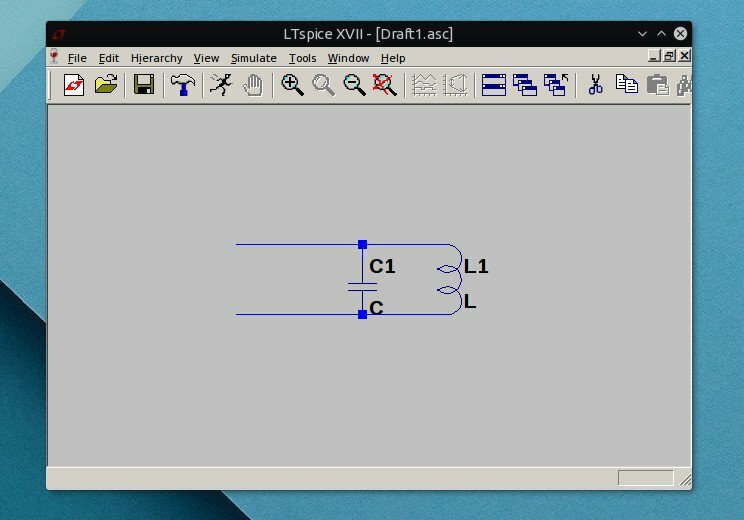 LTSpice Working fine on linux mint 19. Thank you. 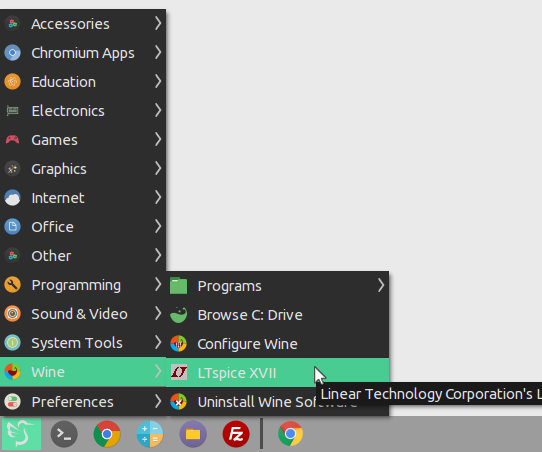 Installed Wine and LTSpice with your simple instructions and now my favorite program works on Ubuntu perfectly.